The new members of the Council of Deputies, Tuiloma Pule Lameko and Le Mamea Ropati Mualia, have vowed to serve Samoa honestly and to the best of their abilities. The vow was made before Chief Justice, His Honour Patu Tiava’asu'e Falefatu Sapolu, at the T.A.T.T.E Building. 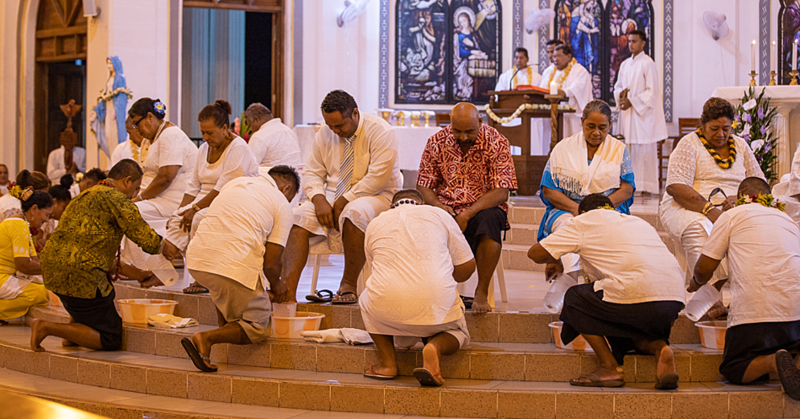 Their vows were followed later by the swearing in of 13 Chief Executive Officers of government ministries, administered by the Head of State, His Highness Tui Atua Tupua Tamasese Efi. Hundreds of relatives, government officials and members of the diplomatic corps attended the ceremony yesterday. 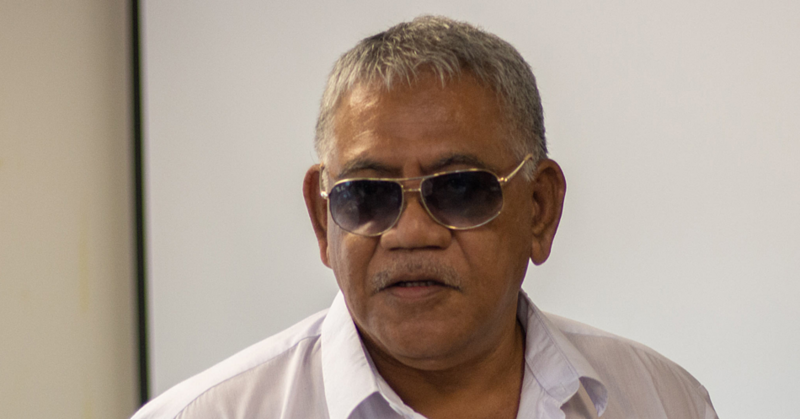 Caretaker Prime Minister, Tuilaepa Sailele Malielegaoi congratulated the new members of the Council of Deputies and C.E.Os for accepting their new callings. He reminded that all appointments are from God. 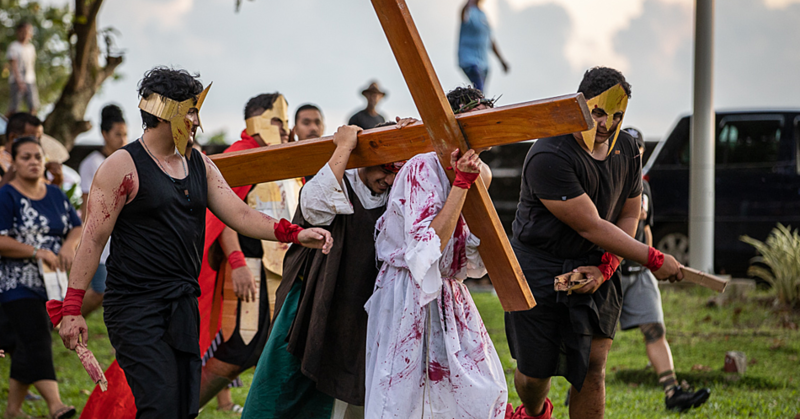 “I would like to firmly say that each one of us was deliberately planned, specifically gifted, and rightfully positioned to our respective calling,” said Tuilaepa. 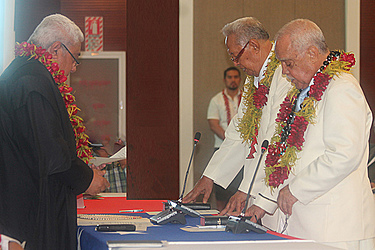 Tuilaepa urged the appointees to believe in themselves and make a difference. “There are numerous challenges along the way,” he said. In response, Tuiloma expressed his gratitude for the appointment. • Agafili Shem Leo, C.E.O of the Ministry of the Prime Minister and Cabinet.